The Pymble area was used for timber getting up until around 1840. 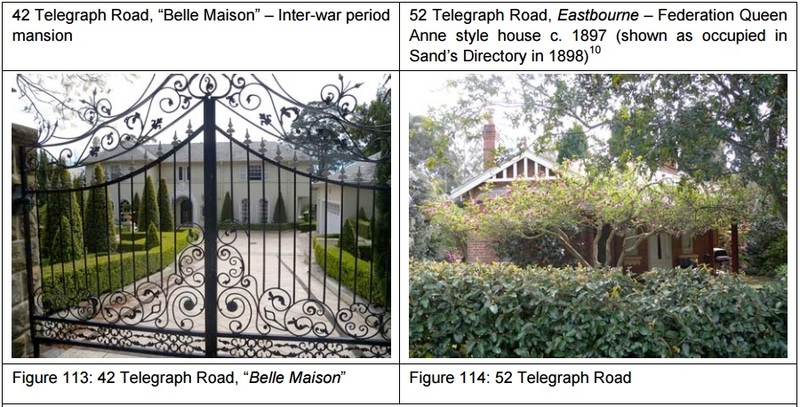 Mona Vale Road was originally divided into two parts which joined at Telegraph Road – the southern part was known as Stoney Creek Road, and the northern part was known as Pittwater Road. These roads were used as D.D. Mathew’s access to his sawmill on Cowan Road, St Ives. Telegraph Road marks the main timber getting route through both land grants towards Stoney Creek Road and Pittwater Road. Telegraph Road was originally known as Government Road, and was named to commemorate the construction of the telegraph line from Parramatta to the coast, which ran along a section of the road. “It has often been written that the name “Military Road” was changed to Telegraph Road at the request of resident Dr W W J O’Reilly (of 21 Telegraph Road). 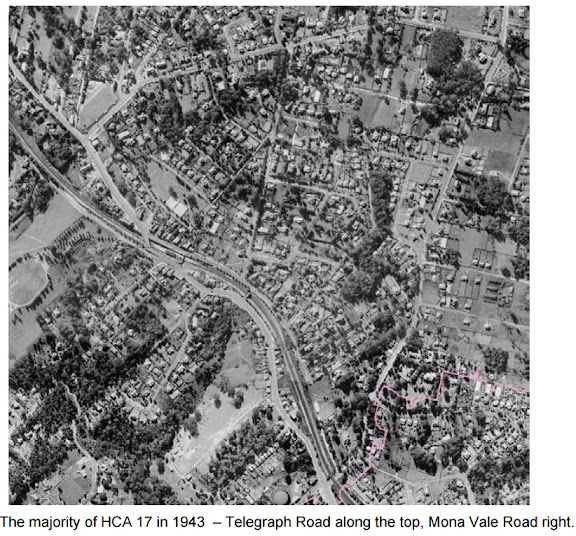 Many of the earlier houses on large lots within HCA 17 are heritage listed, particularly along Telegraph Road, Mona Vale Road, and Church Street. Merrivale is a local stately home in the Regency style and is considered one of the finest examples of its kind in Ku-ring-gai. It has a state heritage listing. A piece of Australia’s history in one of the North Shore’s most prestigious streets. This unspoilt Federation home enjoys stunning city views and is nestled on over 2000 square metres of established gardens complimented by a 13 metre swimming pool. Enter through the Lychgate and along a winding path into the main level offering an elegant spacious foyer. Then discover the reception rooms, separate formal dining and country style kitchen. Return verandas encompass both levels. The carved cedar staircase leads to the five good sized bedrooms upstairs, with the feeling of warmth and light. Features include high ceilings, polished timber floors, lead light windows and open fireplaces, as well as being close to station, shops and Pymble Ladies College. “Magnificent 100 year old Federation residence on approx 2,865 square metres of beautiful gardens, positioned in one of the Upper North Shore´s best streets with superb city views, only a short stroll to rail, shops & leading schools. Dr Walter William Joseph O’Reilly (1847-1919) purchased land in Pymble in 1882 on a road marked on the early maps as Military Road. At his suggestion the road was named Telegraph Road. 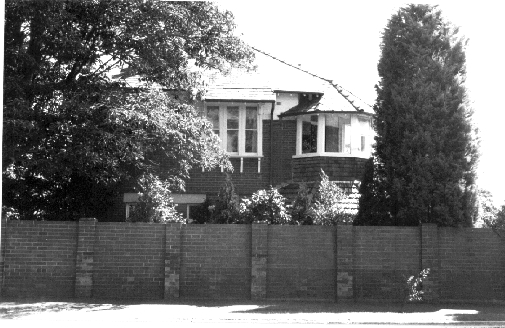 He brought his family to Pymble in 1896 to the house (21 Telegraph Road) in which he built and where he practised as a doctor. His daughter joined him in his Pymble practice and continued after his death. She was the first woman doctor to qualify for a residential post at Sydney Hospital. “Bethany” (circa.1911) has undergone an incredible restoration program over a period of years by the current owners, culminating in every aspect of the home meeting and exceeding the highest standards of fit out and presentation. 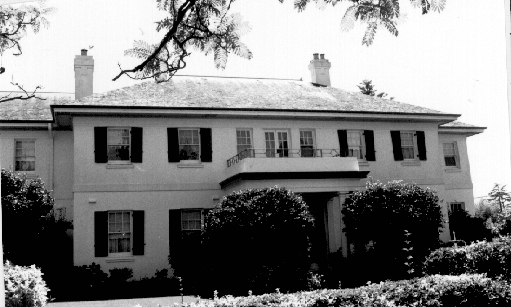 “Coppins” is a landmark estate at Pymble. It is an example of the Art Deco/Prairie style. The vast Telegraph Road property includes a significant stone house designed by Walter Burley Griffin in 1936 as his last and largest residential commission in Australia. 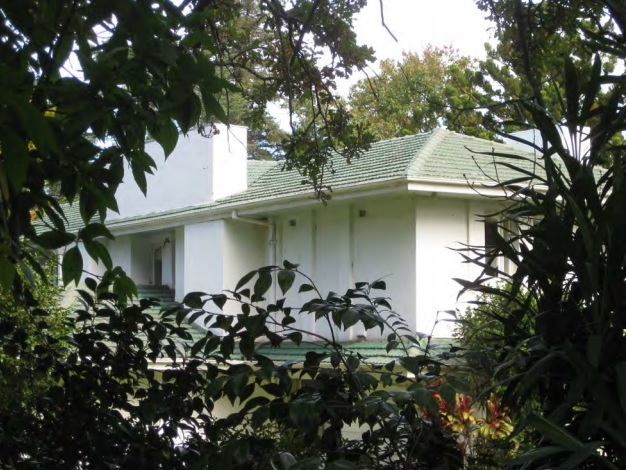 “Coppins”, on Telegraph Rd, Pymble, was one of the last two homes in Australia designed by American architect Walter Burley Griffin, famous for designing the city of Canberra. Griffin planned the building in 1935 shortly before he left for India, where he died two years later. Heritage blog; Story of Restoration. The breathtaking family estate is a landmark residence of rare distinction. Proudly and privately positioned on a magnificent 3120sqm approx. in what is universally acknowledged to be one of the North Shore’s finest enclaves, this is truly an heirloom for generations to enjoy. A sublimely restored Federation residence, as well as an additional separate renovated home, incorporating the historic features of the main house. The interiors offer an impressive, granite-lined entry foyer; soaring ceilings; smartly painted rooms that highlight the ornate ceiling details and picture rails; bay windows; large, modernised bathrooms; functioning, gorgeous fireplaces; detailed archways; stunning chandeliers; and timber floorboards. My favourite room of the house is the formal living room, which has the most impressive ceiling I have ever viewed – its fine embellishment is accented by royal cream, red and blue, and its championship motif is continued throughout the room’s cedar cabinetry. The billiards room is another sight to behold – the room is an authentic heritage cigar room, offering an original billiards table (which is marbled to the timber floor), as well as the original scoring board and an ornately detailed backgammon table. The new kitchen is located within the house’s east-facing sunroom, and offers every possible luxury – two ovens, a six burner stove top, a hand-crafted tile splashback with a butterfly motif, lime-coloured Corian benchtops (which complement the subtle cream cupboards) and a Tasmanian Oak benchtop on the kitchen island. In addition, the house has a fully equipped, professional-standard office, which has timber partitions for different workstations and a glass panelled enclosed office for private meetings. I have never seen such an elaborate office in a house before. The fully-established English garden – boasting crabapple trees, magnolia trees, its own orchard (which produces mandarins, oranges and lemonade fruit. and an impressive enclosed vegetable patch that offers protection from possums – is enchanting. A gorgeous old home with a relaxed lifestyle, tons of land for the kids to roam and loads of privacy to protect you from the bustle of the modern world! Charm and character from and era past, yet superbly restored to enjoy the modern lifestyle. Overlooking the sparkling pool and set in serenely private established cottage gardens this gorgeous and spacious Arts and Crafts Character family home is enviously positioned in one of Pymble’s most sought-after east side locations. this stately residence exudes a very special & graceful ambience. Designed by leading Australian Architect Stafford Harman Buchanan of ‘Buchanan & Cowper’. Enjoy the glamour of the 1930s in this landmark property. Built on the escarpment with uninterrupted views of the city skyline. Grand entrance foyer welcomes you into the reception of the ground level. Upper level offers 4 generous bedrooms, parents retreat with a romantic balcony. Master bedroom with deluxe en-suite and its own private study. Basement level includes cellar, gym / extra bedroom, double garage and sweeping driveway with ample visitor parking. World class Federation residence with panoramic city views. Privately nestled on almost 4,000 sqm of park-like grounds. Positioned in one of Pymble’s best streets, amongst prestige homes. This exceptional world class mansion is simply breathtaking from the first impression to the last. Showcasing a grand sense of scale with exquisite finishes and fittings, it is simply incomparable in its level of luxury & extraordinary attention to detail. Some of the many captivating features include high patterned ceilings, stained glass windows, open fireplaces, enchanting return verandahs and spectacular city views. Exclusively situated on a sprawling private estate of nearly 4,000sqm in size complete with resort style facilities, it is as perfect for personal relaxation and family events as it is for lavish indoor/outdoor living and entertaining. Wandering past the stately double electric gates to the porte cochere, one is immediately struck with a sense of history and nostalgia. The stunning entrance foyer with Carrara marble flooring and bespoke staircase is a fitting introduction to this palatial residence. This leads majestically to the opulent formal rooms, which are unrivalled in their sense of grandeur. A Pymble landmark! A grand family home of mansion proportions built in an era of long forgotten quality of construction and style enjoying classical Provencale features with loads of space for entertaining. 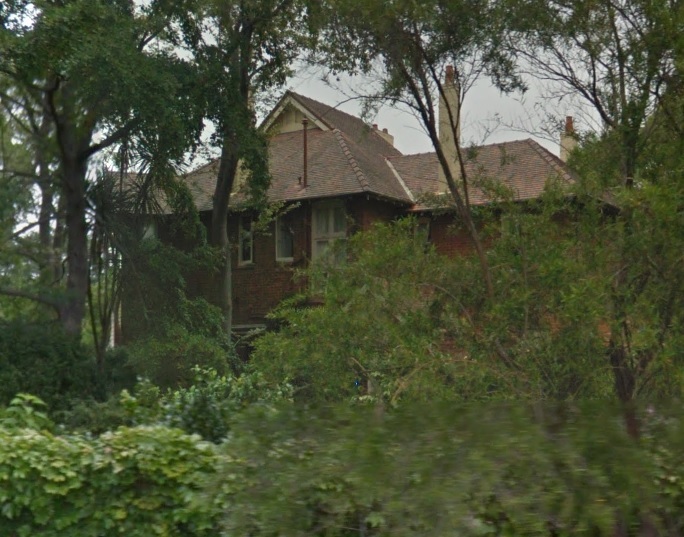 * Located in a blue ribbon East side location and surrounded by many prestigious heritage properties. Walk Pymble Station and village, PLC and within Pymble Public catchment. * This is simply stunning. Massive rooms, high ceilings and tallowwood flooring combine to create a wonderful flair and atmosphere. Nestled on a mature 1474sqm lovely north facing grounds with sparkling pool. * Formal lounge and dining rooms, Drawing room/study, award winning new kitchen adjoins family and conservatory leading to the private paved courtyard, new bathrooms and a host of quality inclusions. Radiating elegance, this picturesque residence is rich in both character and heritage. Greeted by a stunning classical façade, welcomed by a grand entrance and adorned by a wealth of period hallmarks, it graces 773sqms in one of Pymble’s premier streets. Designed by Walter Burley Griffin for David Hutton Pratten, 1935.. This was “one of Griffin’s last commissions before he left Australia”, says owner Kel Sherwood, as the couple guide us around the home they bought seven years ago for $2.4 million. The house is truly inspirational, a mix of angles, sensuous curving walls, beautiful domed ceilings and the delicate woodwork of the staircase.